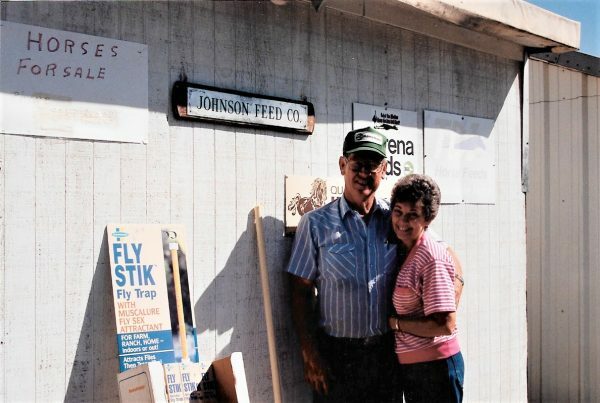 Johnson Feed Company was started by Gayle and Glenda Johnson in 1978. Mr. Johnson, is a retired fire captian from the city of Lewisville, Texas. After serving he community for years, he and his wife, Glenda, wanted to serve the community in a different way. In 1978, they decided to start Johnson Feed Company as their retirement project. I can tell you now, neither of them would dream of all the things this store would provide to their community. Unfortunately in 2008, Glenda passed away after a tough fight with ovarian cancer. Johnson Feed Company is a proud sponsor of our local FFA (Future Farmers of America). These kids work hard year round learning, feeding, cleaning, showing and some even judge other animals. We are proud to say that Johnson Feed Company created a scholarship in Glenda Johnson’s name to help agriculture students. In 2015, the family business grew to include more family, Glenda and Gayle’s son Mike started taking over operations at the Feed Store. We truly believe in family here, this includes our customers. We care about you having the best knowledge we can provide to make the best decisions for your pets, livestock, garden, or even just your grass!